In an effort to entice consumers to go ahead and buy a Windows 7 PC now, multiple outlets and brands have decided to eat the upgrade cost associated with Windows 8 later this year. Falcon Northwest has been offering a $14.99 refund on new Windows 7 systems for a few weeks now and apparently Staples retail store chain is offering a $15 Visa card on the purchase of any Windows 7 PC. We are now hearing that HP is the latest manufacturer to follow this trend. The company is set to offer a $15 refund on select Windows 7 computers purchased between August 17, 2012 and February 2, 2013. As Neowin points out, only purchases made in Canada and the US are valid. Buyers in these regions have from October 26, 2012 until March 31, 2013 to get their submissions in. 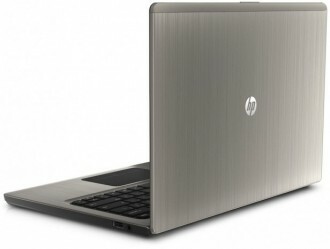 Notebooks that fall under the promotion include HP’s Envy and Spectre as well as those under the Compaq brand. The Envy deskop, Pavilion AIO, Envy AIO, Envy TouchSmart AIO and Compaq desktop systems also quality for the refund. Note that the HP Mini is specifically excluded from the offer. Once October 26 rolls around, those after a refund will need to fill out an online refund request and submit a photo copy or scanned imagine of the dated invoice, sales receipt or transaction record of the qualifying purchase with the price circled. You’ll also need the original UPC / serial number bar code and the Microsoft Windows 8 Upgrade email receipt and customer promotion code. Applicants should receive their refund check within 8-10 weeks.